Michaela recently joined Colliers International as a member of Occupier Services Bay Area (OSBA) based in San Francisco. With a background ranging from residential brokerage in New York City to high profile administrative recruiting in San Francisco, Michaela has 4 years of professional experience working in client facing, fast paced and service driven industries. She has an innate ability to connect with clients which positions her as an effective partner in helping companies meet their real estate needs. A true San Francisco native, outside of work Michaela spends a lot of time with friends and family and enjoys the beach, skiing, and cooking. She is involved with Mission Dolores Academy in San Francisco and was a Co-Founder and Co-Chair of the Berkeley Alumni Board of New York. 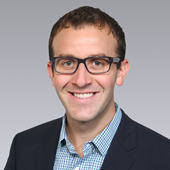 Jay Sternberg is an Executive Vice President and leads Occupier Services Bay Area (OSBA) in San Francisco. OSBA specializes in occupier representation providing clients with a platform of integrated services on local, national, and global levels. Jay is responsible for developing and implementing high-level strategies, managing overall operations and resources of the team, and providing clients with a senior point of contact. 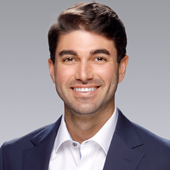 Jay utilizes his background in business finance to represent the interests of his corporate portfolio clients and local businesses, ranging from Fortune 100 firms to venture capital-funded growth companies. 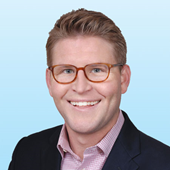 Carter Beim joined Colliers International in 2001. In his tenure, Carter has completed transactions in excess of 3.5 million square feet of commercial office space representing a total in excess of $900 Million. 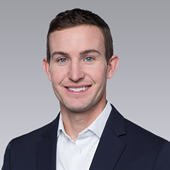 Carter has developed extensive knowledge of the differing issues faced by his clients that range from startup companies to entities represented in the Fortune 500. 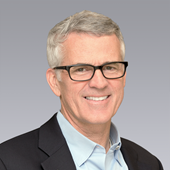 As a co-founder of the Occupier Services Group (OSG), Carter is responsible for client portfolio management and service line integration including Account Management; Transaction Management; Project Management; Leased and Owned Property Administration; Workplace Strategy; Corporate Finance; and Facilities Management. As a LEED Accredited Professional, Carter has expertise in the development and implementation of sustainable practices. Kevin Colombo is a Senior Vice President and member of the Occupier Services Bay Area (OSBA) where he focuses on Corporate Advisory and Tenant Representation. 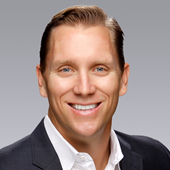 Kevin utilizes his vast commercial real estate experience and creative approach to embed himself in his Client’s core business model to advise beyond the real estate transaction. Founded locally in 2007 and now an established national practice group, the Bay Area Occupier Services Group ("OSBA") comprises Colliers' top-tier tenant/occupier broker-specialists working as one collaborative, accountable team to address your real estate issues. The group operates at strategic and tactical levels with your company's leadership to enable well-informed, profit driven, real estate decisions. With unique solutions established for each client, OSBA delivers individual real estate business solutions that: add measurable value, reduce costs, decrease business operating risks, improve workplace performance, expand flexibility, increase overall profitability. 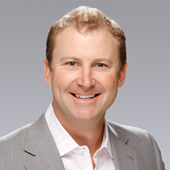 John Landers joined Colliers International in 2014 as a member of the San Francisco Occupier Services Group (OSG). John’s first-hand knowledge of the real estate needs for technology, media, and start-up companies comes from his time at notable San Francisco companies including Twitter and Comcast SportsNet. His experience allows John to effectively guide his clients through the entire deal process while helping his clients match their real estate needs with their company objectives. 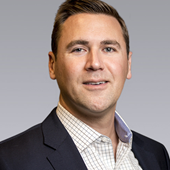 Brian recently joined Colliers International as a member of the San Francisco Occupier Services Group (OSG). 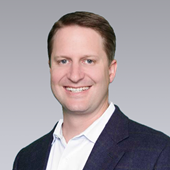 Brian has first-hand knowledge of the real estate needs for growing start-ups to enterprise technology companies. Brian is transitioning from a 12 year career in technology sales with notable San Francisco companies including Twilio and Salesforce. 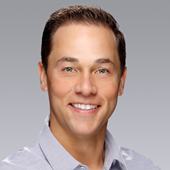 Brian's experience allows him to effectively guide his clients through the entire deal process while helping them match their real estate needs with company objectives. As a Vice President of the Occupier Services Group in the San Francisco Bay Area, I have successfully advised startups, high-growth and established companies since September 2011. I take great pride in the quality of my work and relationships and deliver customized services that allow companies to achieve their real estate goals whether they are local needs in San Francisco or international requirements. 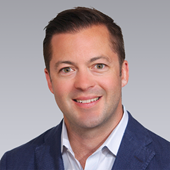 Luke Wilson joined the San Francisco Peninsula office of Colliers International specializing in tenant representation on both a local and global level. 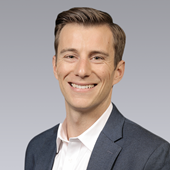 Luke takes a process oriented and quantitative approach to each project, using high-level analytics to advocate on behalf of his clients to deliver the best real estate solutions. 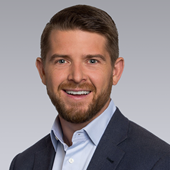 In addition to his corporate portfolio clients, Luke has made outstanding contributions in representing many venture-backed companies from their initial research and development start-up phase through their excelled growth. 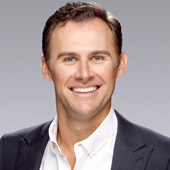 Luke has completed over 200 lease and sale transactions, with total consideration in excess of $1.5 billion since joining Colliers International in 2007 and continues to be a top producer. I am a Partner in the Occupier Services Bay Area (OSBA), a Colliers group that exclusively represents tenants. I formerly was the Co-Chairman of Colliers International Partnership from 2005-2007 and a Director from 2004 to 2007. My broad understanding of the impact of varying real estate structures on the financial statements of clients help me successfully guide tenants through the process. I spent four years in Public Accounting with Deloitte Haskins & Sells (now commonly known as Deloitte). In 1989, I founded the Corporate Advisory Group in San Francisco where I used my background in Accounting and Real Estate simultaneously to benefit the tenants our group represent. I moved to the Silicon Valley Office of Colliers International in 1993 and then to the San Francisco Peninsula Office since it opened in 2012. Today, the Occupier Services Bay Area (OSBA) manages a variety of large tenant portfolios of companies such as Oracle, LinkedIn, Adobe, Nvidia, Autodesk, Slack, Splunk, and more listed on the following pages. My 30+ years of experience includes financial analysis, national and regional location analysis, site selection, facilities and long range planning, transaction structuring, off book financing, and financial statement impact analysis. As a Vice President in the Colliers’ Occupiers Services Bay Area (OSBA), I work with an exceptional group of brokers, financial analysts and project coordinators to offer comprehensive brokerage solutions to our corporate occupier clients. Our multi-disciplined team approach enables us to deliver solutions that are thorough, creative, and consistent in their excellence, no matter how complex the real estate challenges facing our clients. In 2018 I became the OSBA Team Lead for the East Bay, reflecting the clear recognition of Oakland and the East Bay as a whole as a unique Bay Area solution for corporations looking to recruit and retain high-quality, dynamic talent. In order to better serve our clients, I relocated from the San Francisco office to allow OSBA to fully capitalize on the opportunity this market represents. As a specialist, focusing solely on occupiers, I have developed a breadth of experience and expertise to meet the complicated needs of today’s globally-focused, multi-market corporate clients. I am proud to have worked as an advisor to some of the largest, most successful Bay Area companies. While the OSBA’s capacities are designed to serve the most complicated situations, our services are equally valuable to smaller clients. We have delivered unique solutions to many companies, including startups who value our insight as they plan for growth and unforeseen contingencies, as well as mid-size firms who have more stable requirements. My personal style as a broker, is to bring a level of calm, thorough and ethical excellence to each client and project I take on. I enjoy the breadth of the problem-solving that we tackle as occupier specialists, and the excellence that our collaborative structure makes possible. I measure my success on the internal success of my clients. The OSBA is committed to serving the needs of our clients and I am proud to be on the team. When I am not working, I enjoy staying active, be it on the basketball court, mountain slope, golf course, Sierra stream, or most likely, raising two young boys with my wife, Lori, in Moraga.